I tried this recipe several years ago out of a “Quick Cooking” Magazine. It instantly became a favorite! 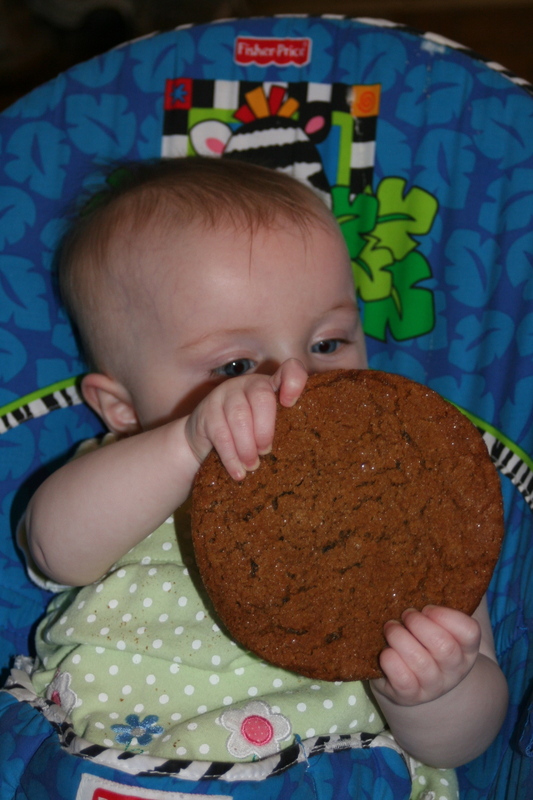 These cookies are huge and chewy and not overly spiced. 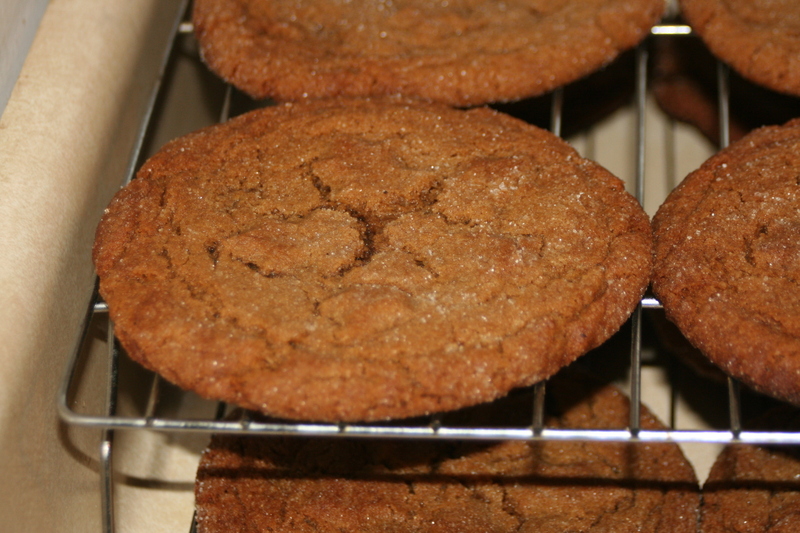 The recipe makes a very large batch- I always get between 36 and 42 cookies if I make them full size. I’ve also made them smaller and I’ve flash frozen them and pulled them out to bake later (just roll in sugar before baking). It does make a huge batch- so unless you’ve got a 6qt. mixer bowl or another huge bowl with a hand mixer, you’ll need to half the recipe. Here’s the recipe (link to online recipe at Taste of Home is here). 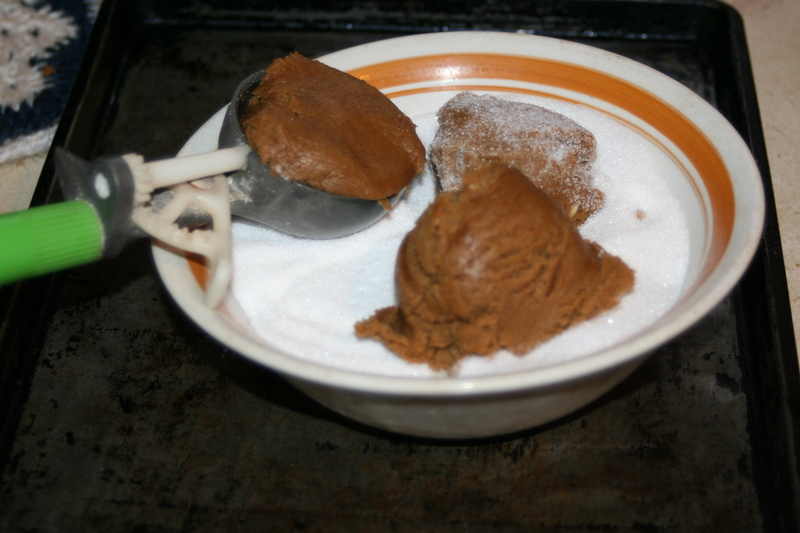 In large bowl, cream shortening and sugar. Beat in molasses and eggs. Combine dry ingredients (except for additional sugar), gradually add to creamed mixture. Cover and refrigerate 1-2 hrs. Yield 3 1/2 dozen JUMBO cookies. I found them on pinterest last fall, you can see them over here at The Decorated Cookie. There’s tons of tutorials out there now on how to make these. There’s one here from recently that shows you how to make them into shapes (like hearts. I think they put the crushed candies in a cookie cutter to make the shape, then remove the cutter before baking- but I didn’t see that detail in the directions). 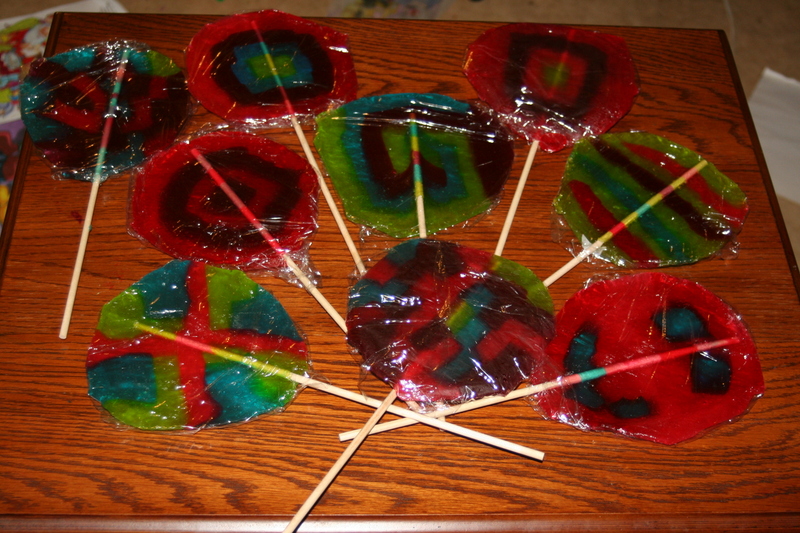 I used jolly ranchers. I also made one from warheads. Most any hard candy *should* work. So here’s my spin: I used round wooden dowels (3/16, about 12″long). 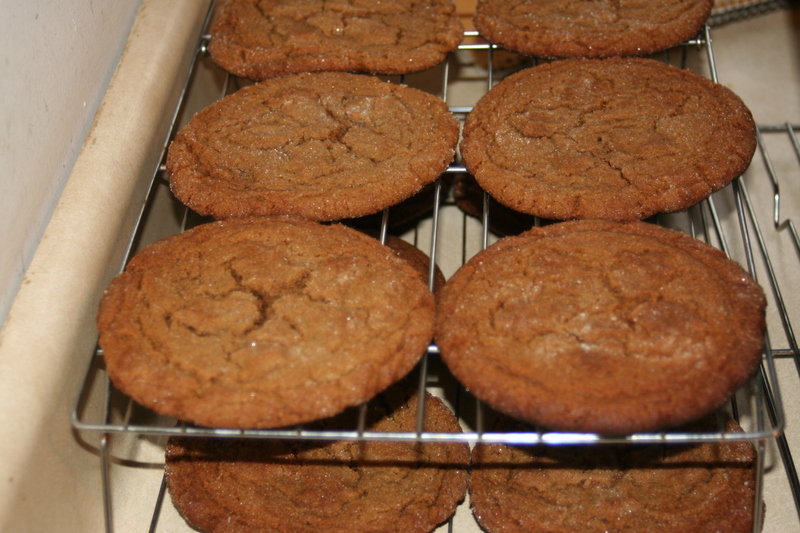 These are inserted after baking just like the original post. 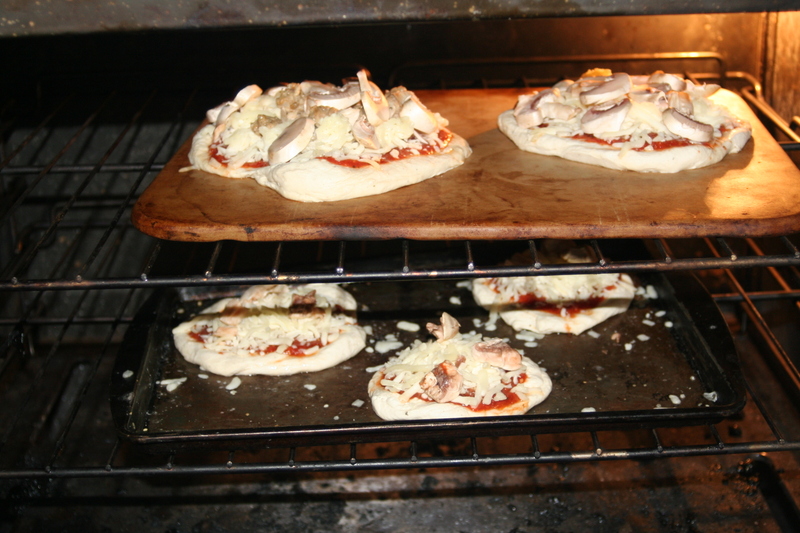 They can also be put in the oven without a problem if you prefer to have that part done ahead of time. 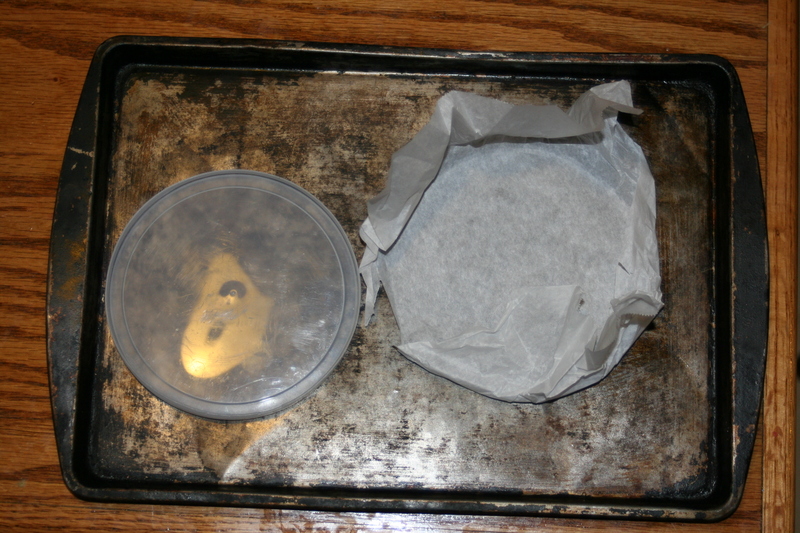 I also used a lot more candies and molded my parchment paper to a lid to form about a 6″ circle- not precise, but enough to give it the basic shape. (Remove the lid from the paper before continuing!) Then I proceeded with the melting. These took closer to 10 minutes with all that candy. 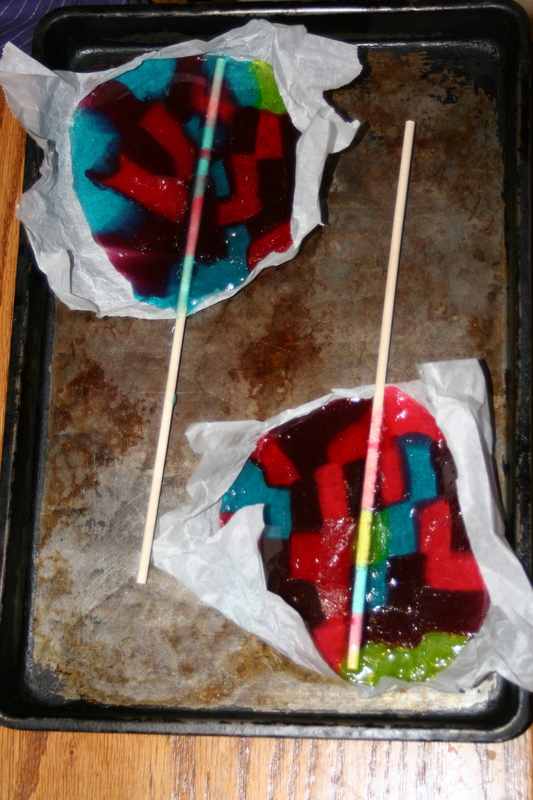 I didn’t chop/smash/grind up the candies in any way, just put them in whole and they melted together. 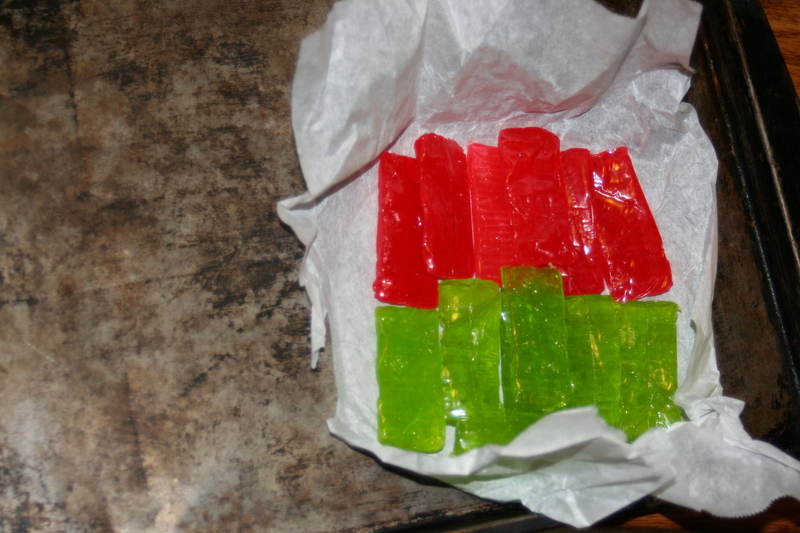 If you use crushed candy, don’t leave spaces or get the layer too thin. I wrapped in plastic wrap once they cooled. I had my first scary experience as a canner the other day. Background: I’ve canned independently (aka-not with my mom) for 8 years and used tattler lids for 2- several hundred cans in most of those years, using mostly Tattler lids in the past 2 years. I went to tighten the band on my jar of chili- just pulled out of the pressure canner (NOTE: normal metal lids don’t get tightened in this process, Tattlers do- just a reference for anyone unfamiliar with them). And it happened. 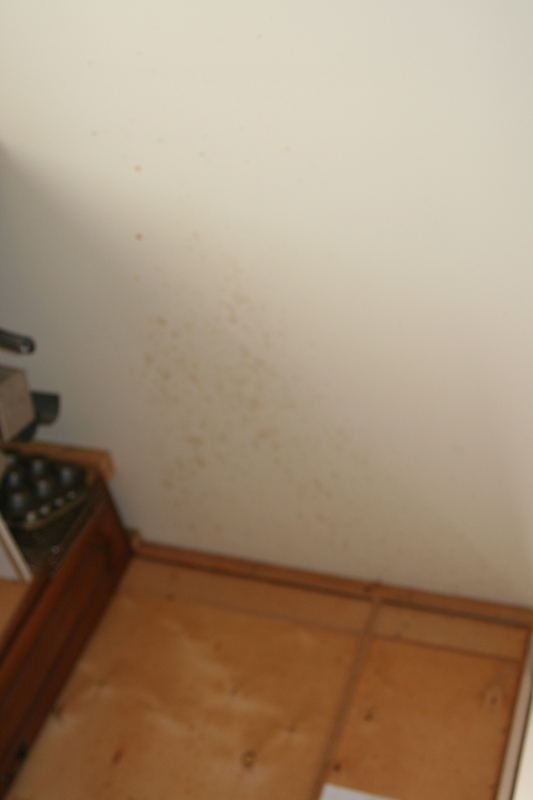 The lid and screw band burst off the top of the can- and scalding chili flew on my window, wall, counter, floor ceiling, stove, the 12 quarts of applesauce cooling on the counter, 15 feet down the wall at the dining nook, EVERYWHERE. Some ended up on me- a bit at my elbow and some on my face. About 1/4 of the jar was left in the jar. 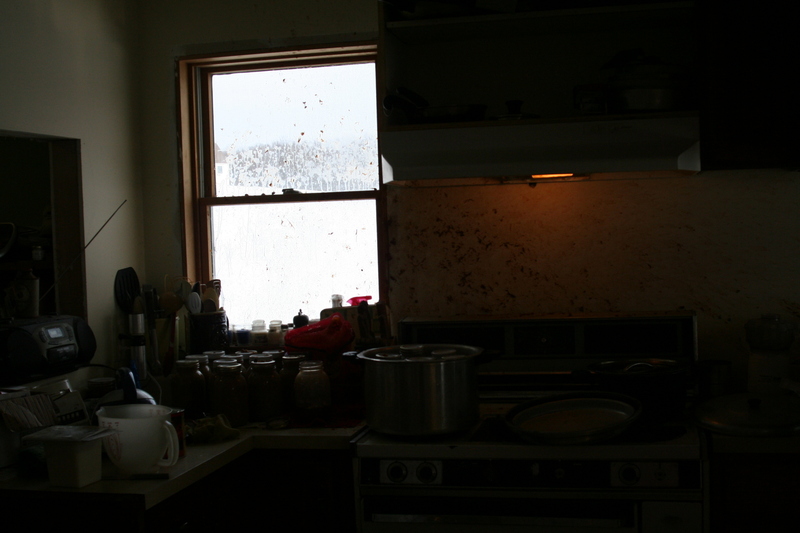 canning jar explosion- what’s left in the offending jar. I immediately went to the bathroom (with my eyes closed to keep the chili out of them) and rinsed repeatedly with cold water. I tried to process what had happened and thanked God most importantly that my little girls were not in the kitchen when it happened. And then that it wasn’t any worse for me. I used a cool wet cloth and some ice to keep my face comfortable for a while. It had some “burning” sensation even after an hour- heat and/or chili spices related. I had red spots, but somehow no blistering. #2 I had a dry washcloth over the top to hold and tighten the lid. That saved a lot of spewing scalding liquid from coming my way and potentially causing more damage. #1 I didn’t let the jars cool once I took of the pressure canner lid. While I haven’t had a problem before, I read (now) that it’s best to let the jars sit 5-10 minutes after removing the pressure canner lid before moving the cans. #2 I MAY have left the band too tight when I put the can in the canner. This is one of those subjective things- how tight is finger tight? With Tattlers (again, different from metal lids), you tighten finger tight and back it off 1/4 inch. Metals you just tighten to finger tight (still subjective). This can (as others have in the past- pressure and HWB canning) had a bubbled up lid when I took it out of the canner. So it may not have been able to vent as much as it needed and there may have been excessive pressure inside the can for that reason. I’ll be careful in the future to observe this more carefully and err on the side of a bit looser. And I’d suggest handling any can with a lid that bubbles up very carefully as well- maybe let it sit for longer before handling so it can vent more. #3 the jar possibly may have been over-full. Although I believe I left appropriate headspace, it did contain rehydrated beans that may have expanded more in canning). Or it may have had an air bubble in the can somewhere. I don’t think so, but I don’t know for sure. I’ll also use a larger towel (hand towel size) from now on instead of just washcloth size. Less convenient, but more protection, I think. I definitely did when I finally worked up the courage to take the rest of the cans from the canner so I wouldn’t “lose” them to not sealing. But I did so with much trepidation and closed my eyes and turned my head as I tightened the remaining 6 cans! Here’s a link I found helpful in analyzing what may have happened. It’s on the Homesteading Today Forum. I’m going to agree with the original poster at the forum- In my case as it was in hers, this was user error and had nothing to do with the Tattler lids as a dangerous product. I like them, I feel they do what they should do and love that they’re reusable- you just need to be aware of the differences in how to use them, and follow general safe practices in canning regardless of the lid type. Another poster commented that they’ve had a metal lid explode out of the canner as well. I’ve had metal lids seep boiling liquids (peach juice, tomato juice, etc), but never explode them. Lessons learned. Hopefully it will never happen again, and hopefully it will never happen to you. I know I’ll be relaying this info to any of my canning interested friends. 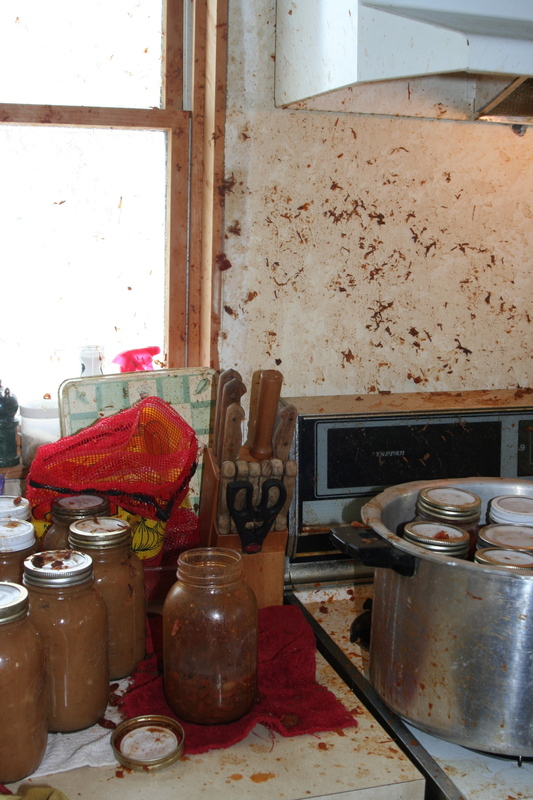 Leave the cans to cool 5-10 minutes after opening the pressure canner. Always use a hand towel over the top of the can in the tightening process (tightening for tattlers only). I may be inclined to don a long sleeve shirt when removing cans- metal or tattler lids. 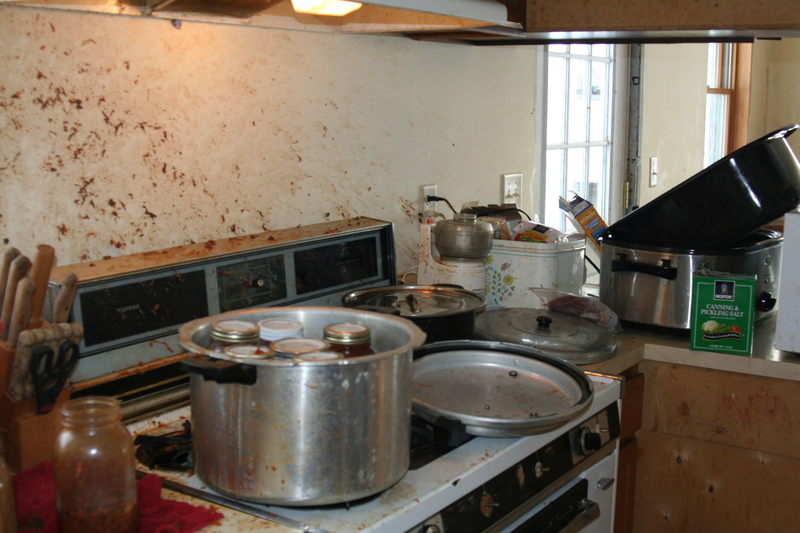 (Continue to) Keep the kids out of the kitchen when removing cans from the canner. 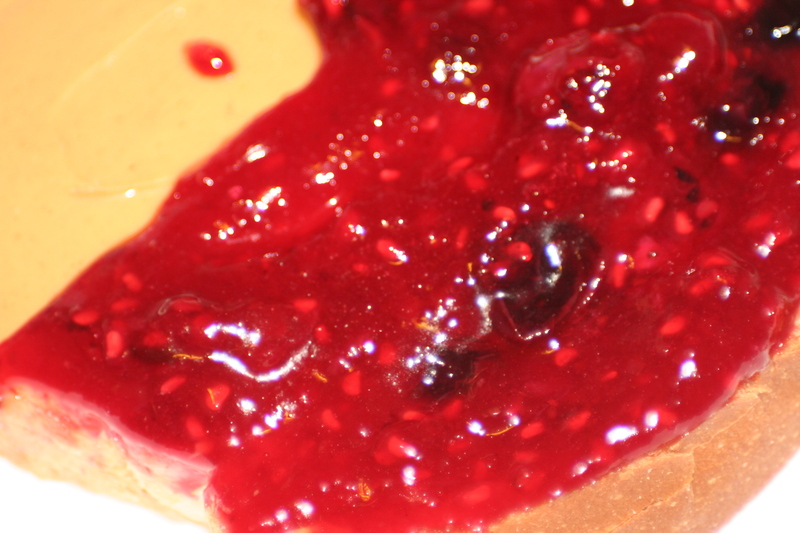 Low sugar, more flavor filled jam! My mom has been picking her blueberries and red raspberries and always gives me a bunch (Thanks mom!). 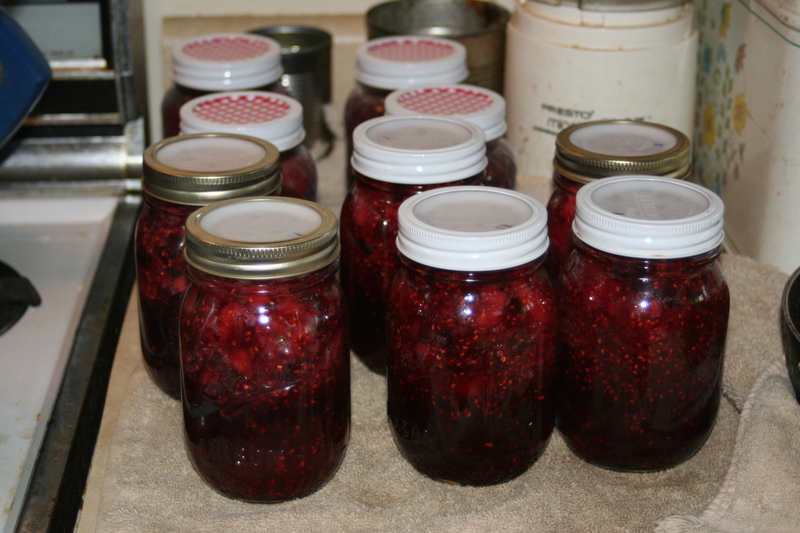 I’d gotten some strawberries and threw them in the freezer so I’d be ready when I got my pectin, so triple berry jam seemed a great place to start. I picked a few wild black raspberries, red raspberries, and a handful of the first to ripen blackberries, so really it’s more of a 5 berry jam, but that’s beside the point. 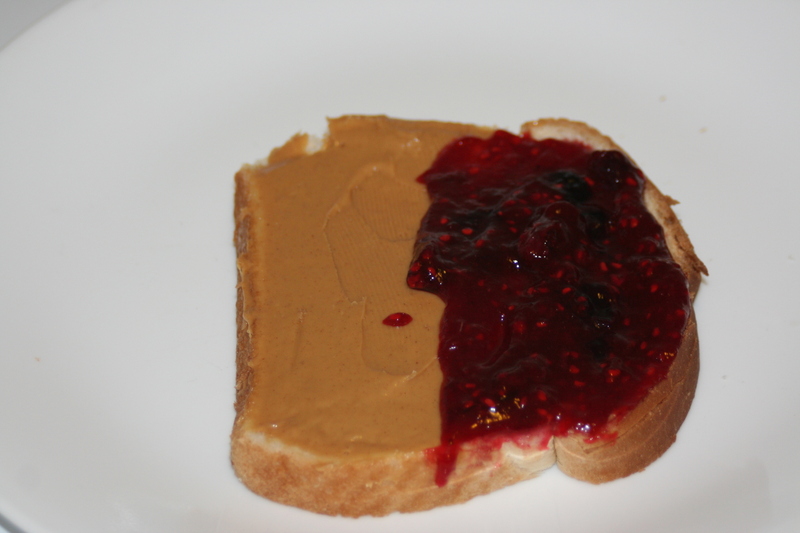 I read the directions carefully- although it seems hard to mess up, I didn’t want to end up ruining my jam (although it sounds as if it’s easy to fix if it’s too stiff or too runny). It says you can double or triple your recipe- something you don’t dare do with normal pectin. So I did. I did a double batch first. I mixed up the calcium water and set it aside. 8 cups of mixed mashed berries, 4t calcium water, and 1/4 c lemon juice (only part of my berries needed lemon juice added) went into the pot and I heated it to boiling. I added 1/2 c sugar, too, to help get the juices flowing from the strawberries. Then the sugar and pectin is added. (You can also use honey or other sweeteners- The pectin is activated by the calcium water, not the sugar). I mixed 4 teaspoons pectin into 2 cups of sugar, then added it to the pot and stirred. So my total sugar added for 8 cups of berries was only 2 1/2 cups. Normal pectin would have required 8 or more cups! The recipe guide on the little paper suggested 4 cups, but your sweetener choice and quantity (if any) is completely up to you! I brought it back to a boil, then ladled it into my jars and processed it in a hot water bath. My yield from the double batch was 4 1/2 pints. SInce that went so quickly and easily, I whipped up another batch, tripled this time. Same process as above. I added a touch more lemon juice for flavor and a bit more sugar just to see if there was much difference. This yielded 6 1/2 pints. So I’ve got 10 pints of jam for the shelf and 1 in the fridge (I jus mixed my 2 half pints together). And for a price break-down: If you can’t get it locally, you can buy pomona’s online here (shipping costs included). I about fell out of my chair seeing the price was $6 a box, but that box makes several batches of jam, so I think the price evens out fairly well. 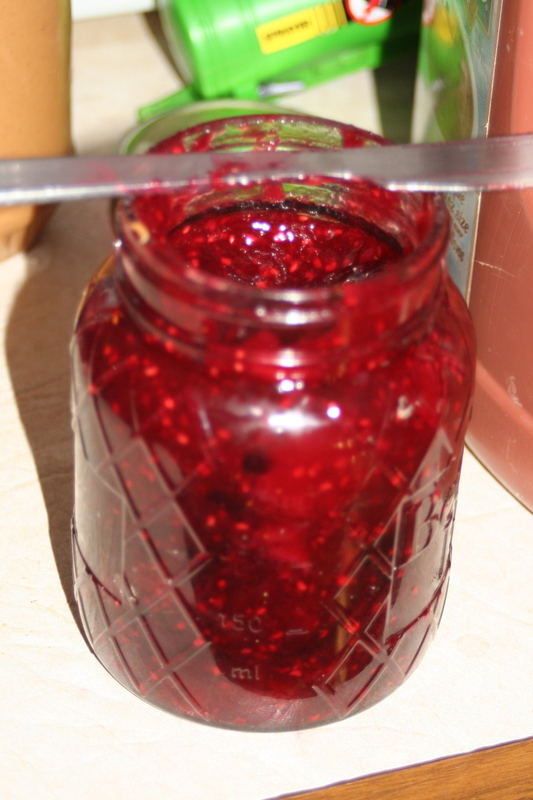 It also drops in price if you buy in bulk quantities, and it supposedly will not go bad over time- so you don’t have to worry about if your pectin is too old to set your jam anymore. Add to that the savings from not having to add as much sugar, and I think I’m making in cheaper now than before, not to mention being healthier and tastier! Since making the triple berry, I’ve moved on to plain raspberry, blueberry, blueberry raspberry, and strawberry. Each batch has been completely successful with perfect texture, no picky treatment required, and all have been triple or quadruple batches. 33 pint jars of jam on the shelf so far this year, plus we’ve enjoyed some in the fridge. So far, I think it’s well worth trying! It seems to be a very flexible pectin (not texture, but use). *I have no connection to pomona’s and I’m not being paid or reimbursed in any way to write about it. I just tried and liked the product and thought I’d share. 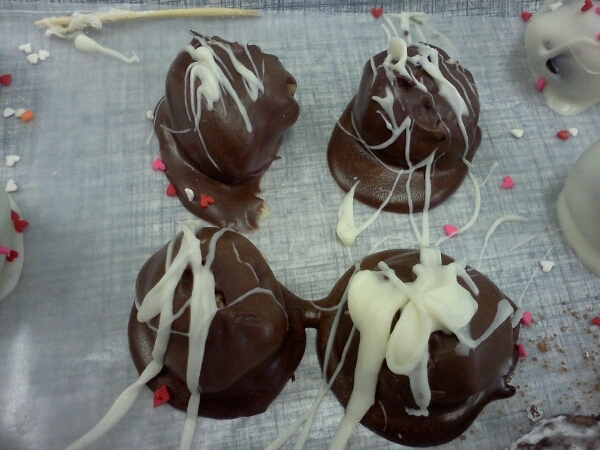 If you have a particularly soft or sticky truffle, get those done first before they have much time to thaw. Also, if you’re using the powdered sugar or sweetened cocoa as a cover, be aware they then squish in your bags… Maybe put them in a separate bag? I think that was the big fail of this project. And make sure your candy bags are big enough to comfortably hold all those truffles! Here’s how they turned out- thanks Rachel for sharing the pics! The following is copied and pasted from my handout. I spread it into 2 pages- a directions page and a recipe page. Almond bark or candy melts– melt at short intervals in the microwave (or double boiler), stirring as it melts. 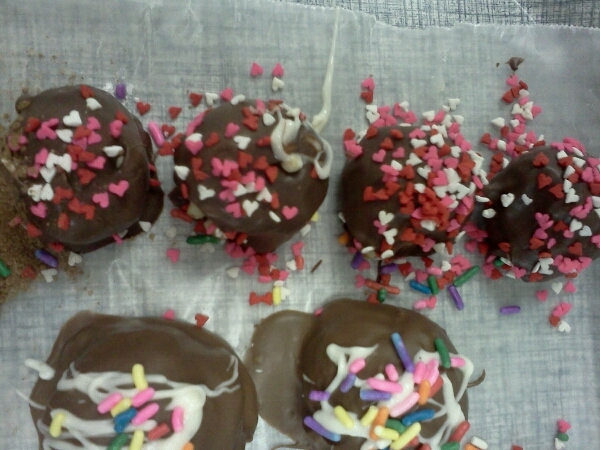 Use a fork or toothpick to dip the balls into the chocolate to cover. 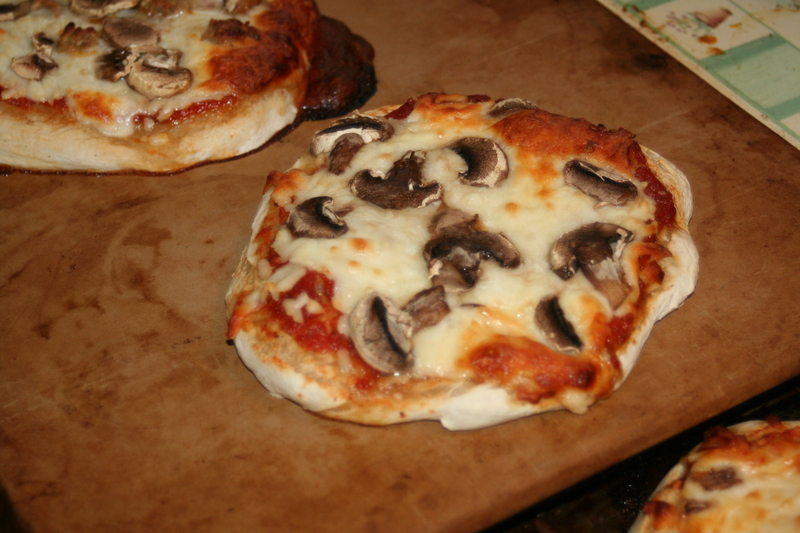 Shake off excess/let it drip off, then put it on a piece of wax paper to let the coating set. It can go in the fridge or freezer to set more quickly. Leave the toothpick IN for less mess. remove it after the chocolate sets up. You can also use a spoon or try 2 popsicle sticks. Whatever works best for you. “Pipe” on swirls, flowers, leaves, dots, etc. 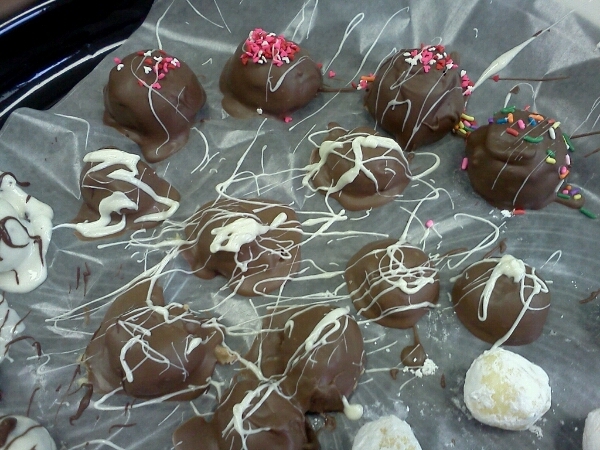 of melted chocolate/almond bark With cake decorating bags or squeeze bottles. 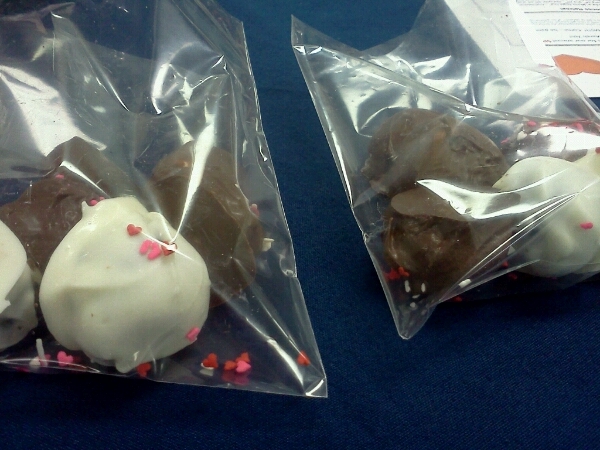 Put melted chocolate in the bags as you would frosting/icing. If it cools and needs to be re-melted, make sure to take off any metal tips before putting it in the microwave, and heat carefully/slowly to prevent overheating the bag or container. You can also use a baggie and cut off the corner if you don’t have cake decorating supplies, or just drizzle another color chocolate with a spoon. Recipes: Here’s the quick version of each, a few have some modifications. Follow the link for complete/original recipes. 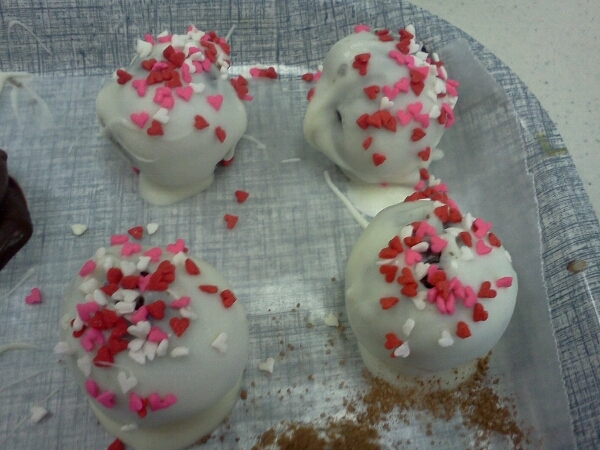 Cake balls– bake a cake mix as usual. After cooling about 10 min, dump cake into large bowl, break up into chunks to cool. after 1/2 hr, dump in 1 can of frosting (any flavor). Mix completely, cover and cool 2-3 hrs or overnight. Roll into 1″ balls, chill several hours. Coat. Melt 5 tablespoons of unsalted butter and 1 c white chocolate, and 3 Tablespoons of heavy cream in the microwave or in a double boiler. Stir until smooth. Add a pinch of salt and 1 teaspoon of lemon extract. Cover with plastic wrap and chill for 2 hours in the fridge. It should be handle-able then. Form it into 1 inch balls and freeze. Coat. Peppermint patties– one batch of this recipe should make the 6 dozen. A can of sweetened condensed milk, 1 Tablespoon of peppermint flavoring, and 6 cups of powdered sugar, mix/knead it, then roll it into balls and pop it in the freezer. Coat. chocolate orange truffles– 2 c crushed vanilla wafer cookies, 2 c powdered sugar, 1/2 c cornstarch, 1/2 c butter (melted and cooled), 1/2 c orange juice concentrate, thawed, 1 teaspoon vanilla, and a dash of ginger (not a big deal if you don’t have it- just skip). Mix it all, chill an hour, roll into 1″ balls and freezer. It’s supposed to make 4-5 dozen. Butterfinger balls– 1 pound of candy corn melted in the microwave and add 1 c peanut butter. When it’s cool enough to handle, form it into balls and pop it in the freezer. Not certain how many balls this would make… I’m sure at least 2 dozen, maybe 3… I’ve never actually made them into balls, just bars. More to try at our pinterest “candy” board if you’re looking for ideas! Our MOPS 4th Wednesday activity today was make ahead meals. We make one for that evening’s meal and one to put in the freezer (or fridge) and use another day. There’s more recipes of meals we’ve made in the past for this in the recipes tab. 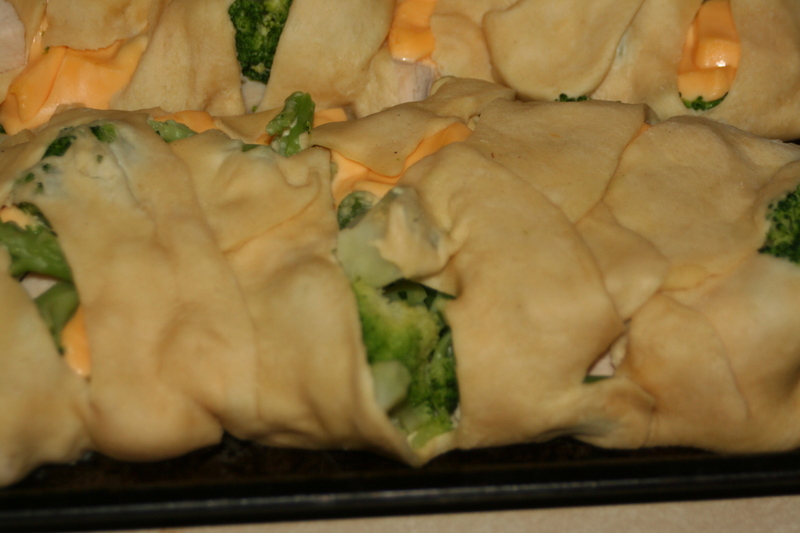 The meal for tonight’s use is a broccoli, chicken, and cheese braid in crescent roll dough. Everyone made two braids to take home. One braid will just barely feed 4 with a side of salad. Note: I don’t know if this dish will freeze well. I’m trying it with an extra braid and will report back if it worked or didn’t work later! ETA: We pulled it out of the freezer and baked it up. It worked fine and tasted about the same to me. The freezer meal is Tatertot casserole. A few details. 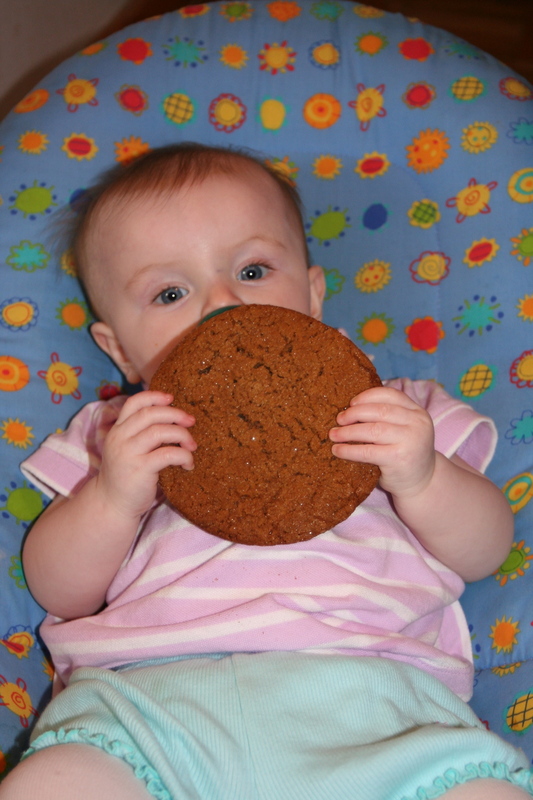 For group logistics: We have no childcare on 4th wednesdays. We break into 2 groups, half do meals while the other half watches kids and we switch part way through. We figure the same time frame and day of the week as we usually meet for MOPS, since everyone should be free then. We cook the meat ahead of time, since that takes a long time to do. We have a sign up list so we know how much to purchase for ingredients, and we ask for money to reimburse the cost of ingredients. We’ve done $10 for the two meals and that mostly covers it. I printed off the recipes for everyone to follow and take home. An explanation on the braids: There’s (at least) two ways to do this. Pics of the two methods are here, since this can be the confusing part from just written directions. NEITHER way will completely cover the filling. It will ooze a bit in baking. Method 1: Lay the crescent roll dough as pictured. After the filling is in, pull the corners of the crescent rolls up over the filling. Overlap so they stick to each other. 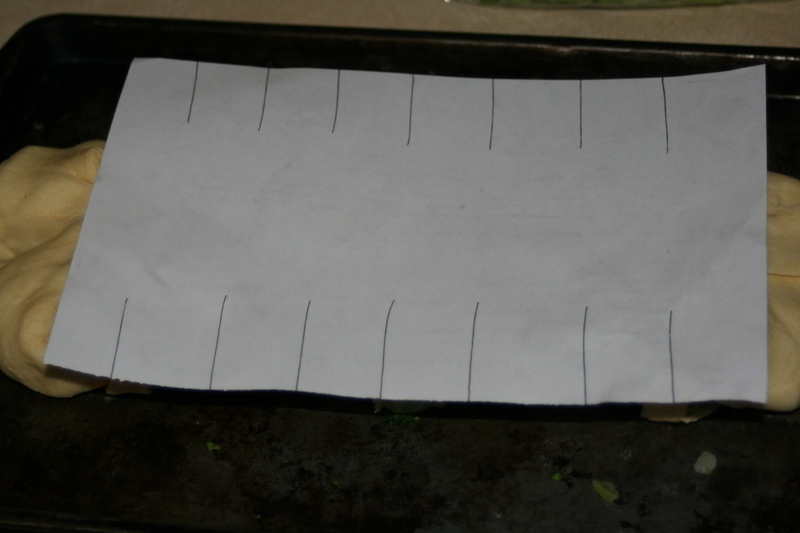 Method 2: Lay the crescent rolls on your baking sheet as shown. Use your fingers and the palm of your hand to flatten and blend the edges of the crescent rolls together. I spread mine to fit my baking sheet (Note this is a smaller baking sheet, not a huge one! The rolls are straight from the tube in the first photo, so there’s not a huge distance for them to stretch.) 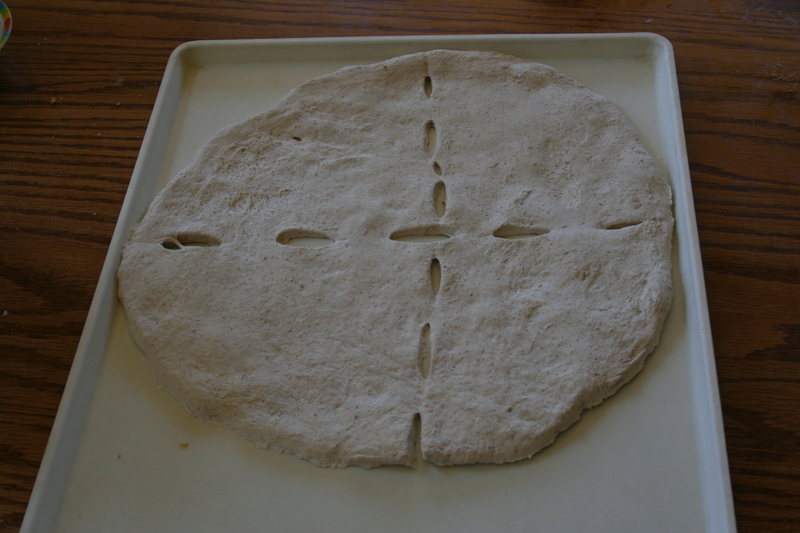 Put your filling in the center as above, then cut slits in the edge of the dough. The paper has lines drawn in the same way that I cut slits in the dough. It’s the same way I do my Stromboli. Then fold them across the filling. Overlap so they stick to each other. Substitutions: you can use bread dough instead of crescent rolls, corn instead of green beans, cream of celery soup instead of cream of mushroom, or mashed potatoes in place of tater tots. Make it flex to your tastes and ingredients. Here’s the recipes- copy and paste to make your own printouts. You are going to make 2 of these. Each braid gets the above ingredients. Put a piece of foil on the cookie sheet. Spread one tube of crescent rolls out on the foil. Flatten, stretch, and “fix” the seams. 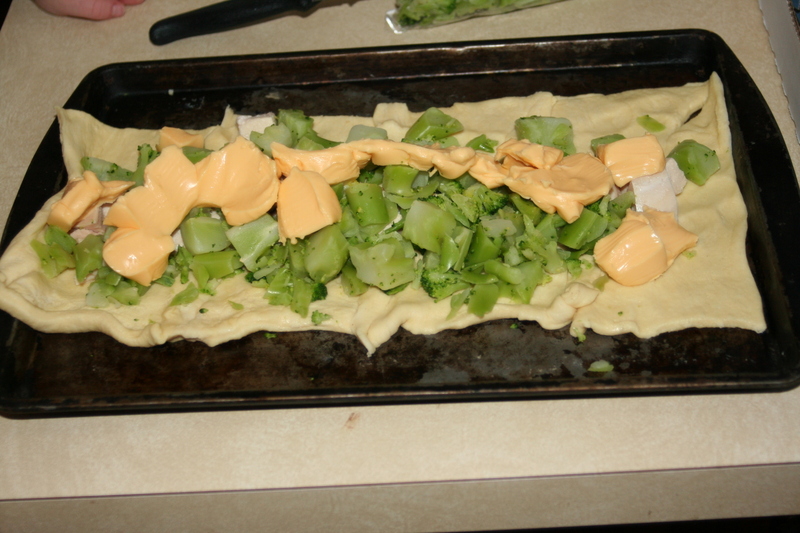 Place on the center line of the dough the cooked chicken, broccoli, and cubed cheese. 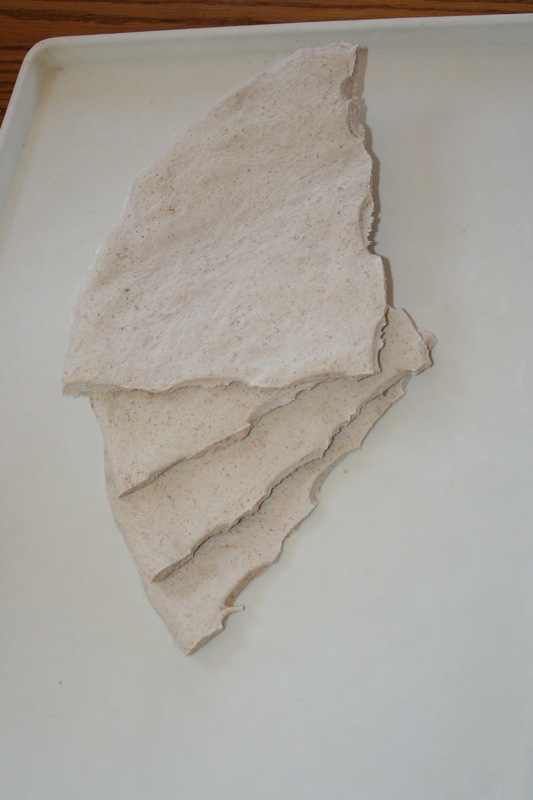 Cut strips in the crescent roll base from both sides. 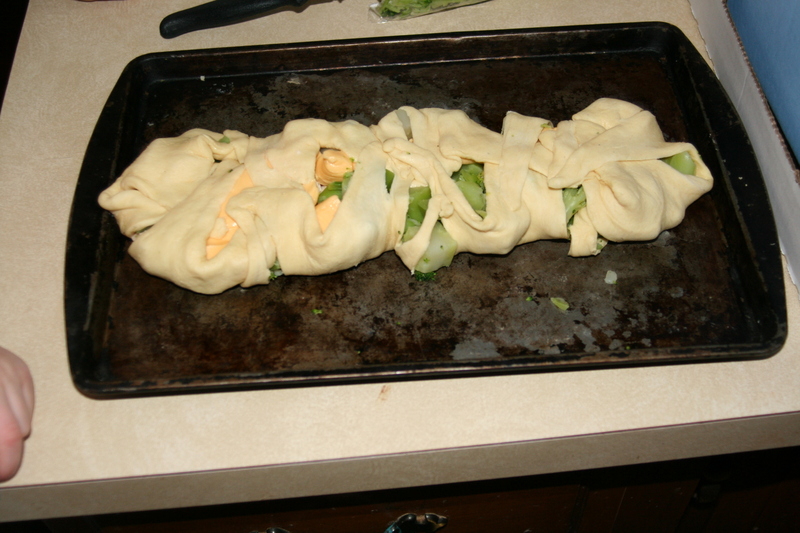 Pull strips of crescent roll over the top of the filling- it will NOT fully enclose it. Pull the braid off the sheet with the foil, repeat with a second braid. 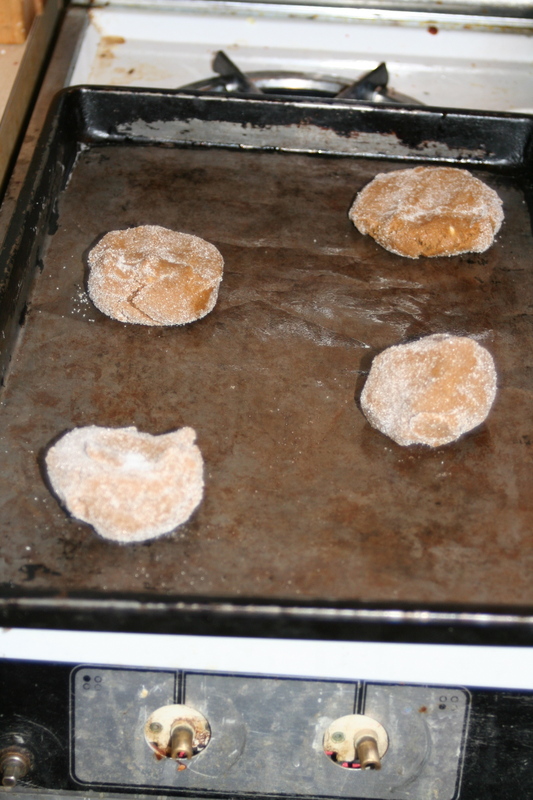 Baking: 375 for 15-20 minutes- ’til golden brown crust and heated through. 1 can cream of mushroom soup, undiluted. spread this over the top of the other ingredients, and use a bit of water to rinse the can, if desired. 6 pieces of sliced cheese, or sprinkle with shredded cheddar, your choice. Baking: 350 until heated through. This dish is freezer friendly and can go directly from the freezer to the oven!